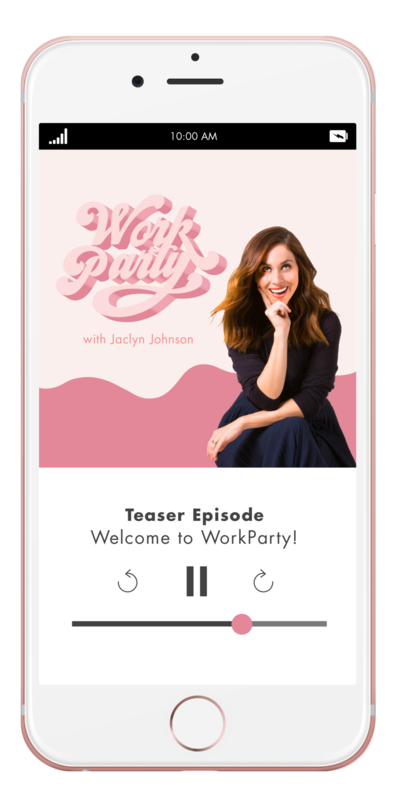 This week’s episode of WorkParty is all about refining your business pitch. Branding expert Jasmine Takanikos has been in the business for a while helping brands and businesses perfect their brand. Jasmine is the founder of BrandHuman, which serves entrepreneurs and intrapreneurs through a lecture series with a personalized approach to examining the intersection of mind, body, business and narratives. Jasmine understands the science behind branding. Stuck on defining your brand? Not sure how to choose the right logos or type fonts for your brand identity? Well then you’ll want to listen up. Jasmine defines entrepreneurs as individuals running their own businesses claiming ownership over their business and projects. Intrapreneurs treat someone else’s business almost like their own. Intrapreneurs bring and entrepreneurial spirit into their workplace. In order to run a small business that is really innovative, employees need to be totally committed to their work and have a solution oriented mindset. Is it needed? What value will it bring? What makes you different? What’s your voice? Why should people engage? What are you passion points? Launching a new brand is a big deal and you have to put a lot of thought into every aspect of your new business. Be sure you understand who your audience is and what they should expect from you. Having an understanding of who your business is to other people is very important. Wether it’s a visual mood board or a 5 page business plan written out in detail. Having something to guide your business and put a direction out into the universe for where you want your business to go, is very important.